Mobile World Congress has come around once again with the overriding theme of Intelligent Connectivity. The eight themes of 2019 straddle connectivity, AI, Industry 4.0 (a modified version of 2018’s 4th Industrial Revolution), Immersive Content, Disruptive Innovation, Digital Wellness, Digital Trust and the Future. Intelligent Connectivity marks the beginning of a new era of highly contextualised and personalised experiences, delivered when and where you want them. Cellusys in 2019 is at the centre of 2019’s Intelligent Connectivity them with offerings spanning Connectivity, AI, Industry 4.0, Disruptive Innovation, Digital Trust and of course the Future. Connectivity is becoming more critical to everything we touch. 5G means speed, it means flexibility and means agility allowing more services and performance with higher reliability than is possible today. Connectivity aims to highlight the requirements needed to make 5G a reality. How will it be implemented, what are the business models, what does it mean for spectrum allocation and regulation. Artificial intelligence is already making its mark on the world with a transformative effect on consumers, organisations, and government. AI explores the potential of artificial intelligence, as well as how we manage the technological revolution it brings and its impact on us. Industry 4.0 is a repeated theme of last year and encompasses IoT, cyber-physical systems, cloud and cognitive computing that constitutes Industry 4.0. Immersive Content can mean Augmented Reality, Virtual Reality and other forms of immersive content. Its growth and the impact on networks, events and overall consumer engagement grow. Immersive Content examines the challenges, the revenue models, as well as the relationship between consumption growth and network capacity. Digital Wellness encompasses the impact of digital and how it touches every aspect of our lives, mostly through our smartphones and, therefore, mobile networks. As smartphones have become pervasive, there is also rising concern about the addictive nature of technology, as well as, connections to mental health. Digital Trust is becoming more critical and recent events such as security breaches have eroded trust in the digital ecosystem. Coupled with the growing introduction and interest in legislation around privacy and the ethics of data usage as we enter the AI era, we are at a pivotal juncture in the evolution of the Internet. Digital trust analyses the growing responsibilities required to create the right balance with consumers, governments, and regulators. 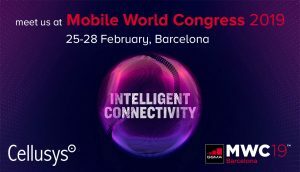 Cellusys at MWC this year is at the forefront of Intelligent Connectivity themes with offerings spanning Connectivity, AI, Industry 4.0, Disruptive Innovation, Digital Trust and the Future. 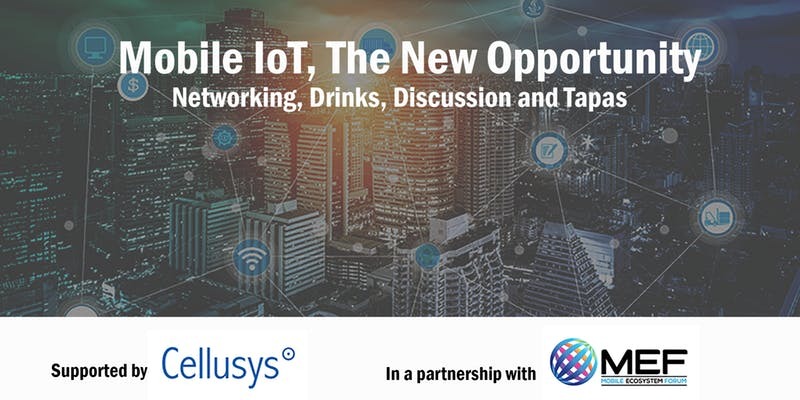 Please join us in conjunction with the Mobile Ecosystem Forum this year on IoT Tuesday at Cellusys Barcelona to discuss with our panelists from IoT companies, where we interact and debate the key questions to bring Mobile IoT to the next level: monetization, security, and network capacity.